SENSITIVE DATA IS OUR PASSION. It’s with good reason that we’ve been categorized as a “Visionary” two years in a row by Gartner, the world’s leading IT research and advisory company. The Dataguise team includes some of the world’s leading data security experts who live, breathe, and never stop thinking about sensitive data governance. Manmeet has held strategic-level positions with responsibility for engineering, operations, and marketing. Before founding Dataguise, Manmeet had a distinguished career with Oracle Corporation, Zeneb Inc., Miri Technologies and HCL, where he held senior executive positions in software and business development. Adrian has 25-plus years of systems engineering design and management experience in the information technology industry. Adrian’s responsibilities have included developing business applications, localizing products for international markets, championing cross-functional technology initiatives, and managing the product lifecycle. Adrian has held senior level positions at NIIT and HCL, architecting custom solutions for various clients such as E*Trade, Uniface Corporation, Critical Path and Chase Manhattan Bank. Bachelor’s degree from University of Lucknow, India. Sagi has 20 years of privacy and data governance experience. He is a Director on the board of the International Association of Privacy Professionals, and a member of the Forbes Technology Council. 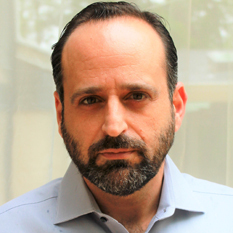 Prior to joining Dataguise Sagi served as the Chief Data Solutions Officer for Prifender, an identity aware software company for privacy management. Before Prifender, Sagi was Ernst & Young’s Global Privacy Leader for privacy assurance and consulting services. In his 16 years at Ernst & Young, Sagi served Fortune 100 and Fortune 500 companies from industries ranging from financial services, pharmaceutical, technology, manufacturing and automotive. Sagi is a frequent speaker in data-related conferences and his articles appear in business and professional publications. Subra has 25 years of experience developing and architecting distributed systems and middleware products. Subra’s experience includes Enterprise Workflow Systems, Web-based Payment Systems, Extranet Portals, Access Management, and Contact Center Analytics. 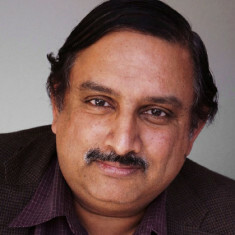 Subra has held senior technical leadership positions at Hewlett-Packard, Informatica, and Avaya prior to joining Dataguise. He is a member of the Forbes Technology Council, and holds the CIPT designation from the International Association of Privacy Professionals (IAPP). M.S. in Computer Science from Texas Tech University and an M.S. in Engineering Management from Stanford University. Jim has 20-plus years of executing rapid growth for leaders in the SAAS and enterprise software space. Before joining Dataguise, Jim was Vice President of Sales, Applications Performance at Dell Software Group. 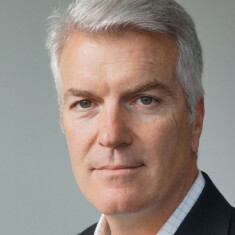 Prior to Dell, Jim spent 12 years at Quest Software where he was a key player in growing Quest from under $100 million to over $900 million while fulfilling various leadership positions including Business Unit Vice President of Archiving and North American Vice President of Sales for Windows Products. Prior to Quest, Jim held sales leadership roles at Ceridian and ADP and has successfully built and led global sales teams of all sizes. Jim served four years as a United States Army officer. Bachelor of Science in Economics from the University of Delaware. JT has over 20 years of sales, marketing, and operations experience as an integral member of fast-paced, high-profile technology companies in Silicon Valley. JT is a senior executive with a strong track record of architecting and operationalizing complex worldwide alliances. His passion for creating and marketing products and services that delight and wow customers began when he worked for Steve Jobs at NeXT Inc (now Apple) and carried on as he worked for public companies including Remedy Corporation and Borland. JT then applied his knowledge and experience in executive positions at several start-ups including Sana Security (sold to AVG), Soonr (sold to Autotask), and most recently WhoKnows. JT is an active member in his community; he sits on the St. Raymond School Board and coaches middle school basketball. Manmeet Singh has 20 years of in-depth entrepreneurial and leadership experience spanning the technology industry. Manmeet has held strategic-level positions with responsibility for engineering, operations, and marketing. Before founding Dataguise, Manmeet had a distinguished career with Oracle Corporation, Zeneb Inc., Miri Technologies and HCL, where he held senior executive positions in software and business development. 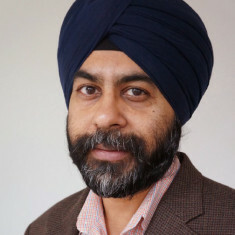 Manmeet received a master’s degree in computer science from Thapar Institute of Engineering and Technology, India. Vincent Smith provides our Board of Directors with institutional knowledge and a deep understanding of all aspects of our business, products and markets, as well as substantial experience developing corporate strategies, assessing emerging technological trends, and managing business operations. Prior to founding Toba Capital, Vincent was President, Chief Executive Officer, and Chairman of the Board of Quest Software. Before that, he served as Vice President of Worldwide Sales and Marketing at Patrol Software North America, a company he founded. Following Patrol’s acquisition by BMC Software in 1994, Vincent managed BMC’s sales operations as Director of Open Systems. From 1987 to 1992, he held a variety of sales management positions at Oracle Corporation. Vincent graduated from the University of Delaware with a degree in computer science and a minor in economics. Herbert Madan is an experienced venture investor in privately-held technology companies. He has over 24 years of technology and business leadership experience both as a serial entrepreneur and an operating executive. Herb’s present and past investments include: DATAllegro (acquired by Microsoft), Postpath (acquired by Cisco), Ocarina Networks (acquired by Dell), Clairmail (acquired by Monetise PLC), Palo Alto Networks (NASDAQ: PAN), Aster Data (acquired by Teradata), 41st Parameter, Cortina Systems, Redseal Systems, Dataguise, TRUSTe, Huddle, Tigertext, Moovweb, and Pertino Networks. His notable prior accomplishments include: CEO & Founder of Route-Science Technologies (acquired by Avaya), VP/GM of Service Provider Network and Application Software Business at Cisco Systems, and CEO & Founder of NETSYS Technologies (acquired by CSCO). Paul Sallaberry is a software industry veteran with a career leading Enterprise-class worldwide sales, marketing and services organizations.As Executive Vice President of Worldwide Field Operations for VERITAS Software, Paul was responsible for defining strategy and driving revenue in excess of $1.5 billion achieving profit goals for the corporation’s global multi-tier sales distribution and professional services operations. Paul propelled the organization’s transition from that of an emerging start-up to its unprecedented position as the world’s leading provider of enterprise storage management solutions, and industry-recognized sales distribution powerhouse. Paul left Veritas in 2003 in the capacity of Executive Vice President of Sales Strategy, having successfully positioned the organization’s International growth territories for the next phase of sales expansion. At OpenVision, Paul served in the capacity of Senior Vice President of Sales where he led the organization’s product and professional services revenue growth in the Americas up to its subsequent acquisition. Prior to OpenVision, Paul held a series of positions at Oracle Corporation from 1989 through 1992, including Vice President of Oracle’s Vertical Sales Division. Paul served on the Board of Directors for Quest Software, Calypso Technologies, Mimosa Systems, GFI, Dorado Software. He is also a member of the U.C. Davis Foundation Board of Trustees and is a frequent speaker at the Stanford Graduate School of Business and the UCLA Anderson School of Management. Paul holds a Bachelor of Science degree from the University of California, Davis. With more than 20 years of computer industry experience, Selim Aissi was named one of the “Top 59 Most Influential Security Experts” by IT Security Magazine. With more than 100 patents filed, he has published more than 30 journal and conference papers and co-authored the book “Security for Mobile Networks and Platforms.” At Visa, Selim is currently Vice President of Global Information Security. Before joining Visa, he had an 11-year tenure at Intel, holding several senior management and technical positions. Selim headed Strategic Planning for Mobile Commerce, Security, Manageability, Content Protection, Enterprise & Virtualization for Mobile Devices. Prior to that, he was Chief Security Architect for the Mobile Platform Group, where he was responsible for defining technologies for next-generation Intel® Centrino® and vPro™ platforms. Selim was one of the originators and Chief Architect for the Intel® Anti-Theft Technology (AT-p), Intel’s first service offering. Before joining Intel, Selim held senior engineering positions at General Dynamics — Land Systems Division, General Motors, and Applied Dynamics International. As a recognized senior leader in mobile communications and security, investment, technology and government leaders frequently consult Selim about mobile business and technical trends. Mark has over 25 years of experience in the software industry with responsibilities that include consulting, pre-sales, sales, operations, and product management. As the head of Solutions Engineering & Industry Solutions for Hortonworks, he is responsible for leading the global technical pre-sales support team and a group of industry experts that represent Hortonworks solutions to the market. Both of these organizations are responsible for engaging the Hortonworks customer base and facilitating value-based adoption of high-return use cases, completing open source development items as needed within the Apache Hadoop roadmap, and supporting the long-term success and community of customers. Prior to Hortonworks, he held senior leadership roles at SAP, Oracle, and i2 Technologies. Osama Bedier is Founder and Chief Executive Officer at Poynt, the world’s first smart payment terminal company. Osama is also a board member of payment companies including Coin, WePay, Payrange and Qiwi. 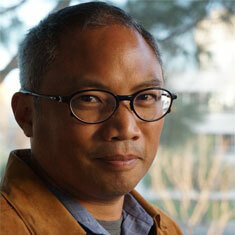 Prior to founding Poynt, he served as Vice President of Platform, Mobile and New Ventures at PayPal. Previously, he was Vice President of Wallet and Payments at Google, Vice President of Product Development at PayPal, Director of Technology at CoolCast (now Sizmek, Inc.), Senior Manager of e-Commerce at Gateway, Inc., and managed a Web team at AT&T Wireless. Osama previously served as Director of Technology at DG Systems Inc./Starguide Satellite Systems and Initiative Manager of IT-B2B eCommerce at Gateway, Inc. He has executive experience in software development for companies where protection of customer information is paramount. 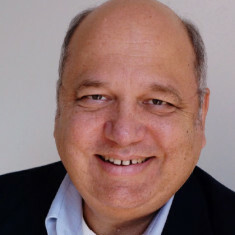 He has expertise in the areas of product development, program management, software engineering, E-commerce, streaming media, IP over satellite, digital rights management, and systems architecture. For almost 30 years, Mark has been involved in the technology and market development of networking technologies, including: 10-BASET, IP routing, FDDI, ATM, Fast Ethernet, Gigabit Ethernet, Ethernet Switching, Firewalls, VPNs, and load balancers. Prior to his present engagements, he was the President of Acuitive, a strategic marketing consulting firm that helped define product and market strategies for start-ups, including Brocade, Alteon Websystems, Netscreen, Maverick Semiconductor, Redline Networks, and many others. Mark started his career at AT&T Bell Labs and moved to SynOptics/Bay Networks before founding Acuitive. Steve has more than 30 years of starting up and supporting technology companies in the federal government business sector. His experience spans government, integrators, channel, and distribution partners. Steve was instrumental in bringing new technologies to market while addressing DSS, FISMA, NIST, and many other security requirements. Previously, he served as the Vice President of Federal at Quest Software (now part of Dell). Steve has also held key positions at several early and rising companies, including: Sybase/Gain, Allen Communication, Mentor Graphics, and Tektronix. He has helped numerous organizations prosper and mature, focusing mainly on emerging technology companies.